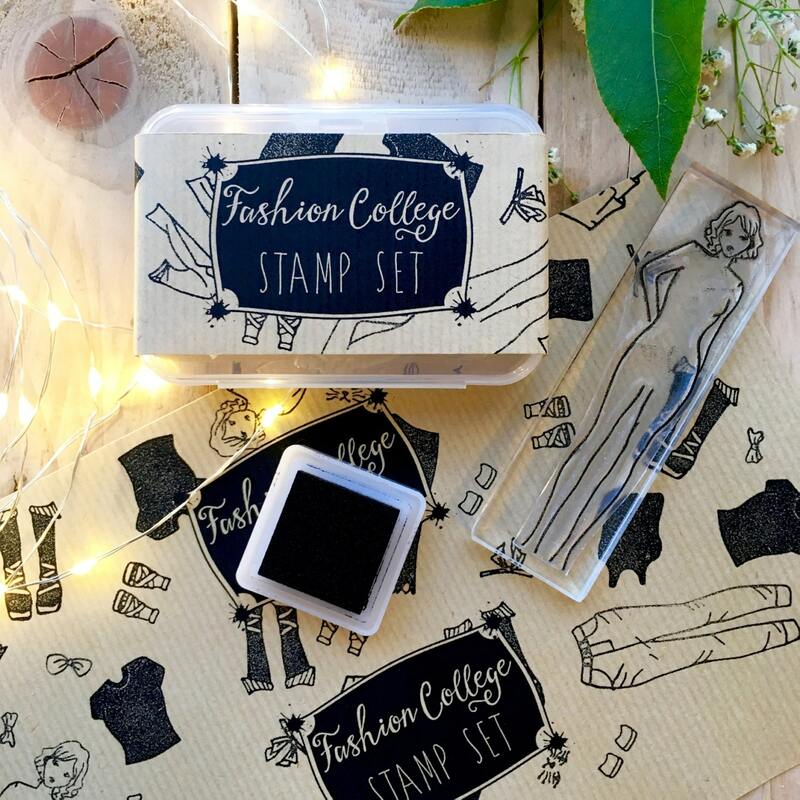 Fashion Design Rubber Stamp. 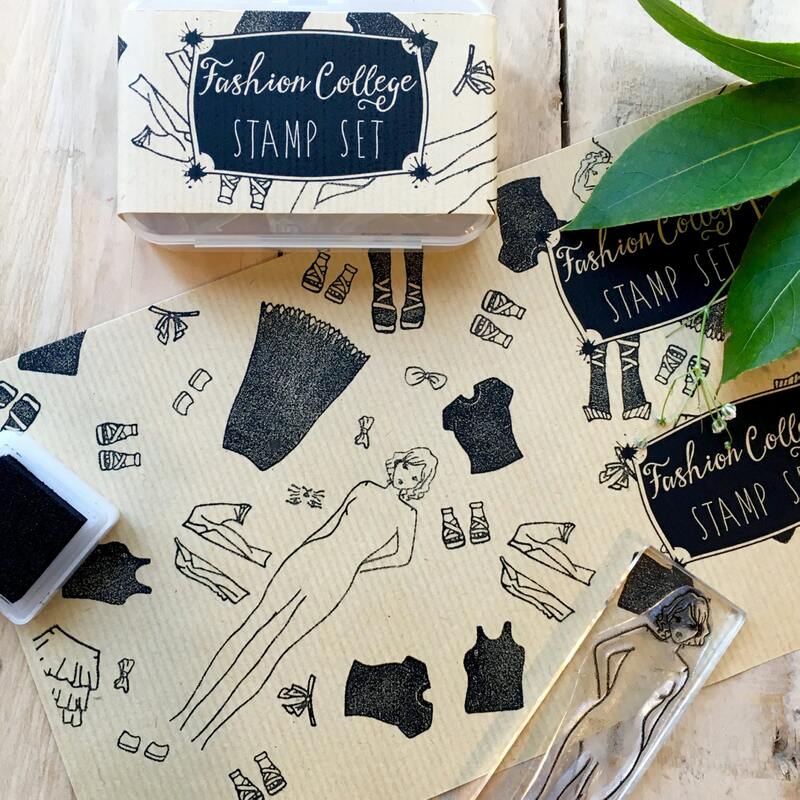 Fashion Stamp Set. 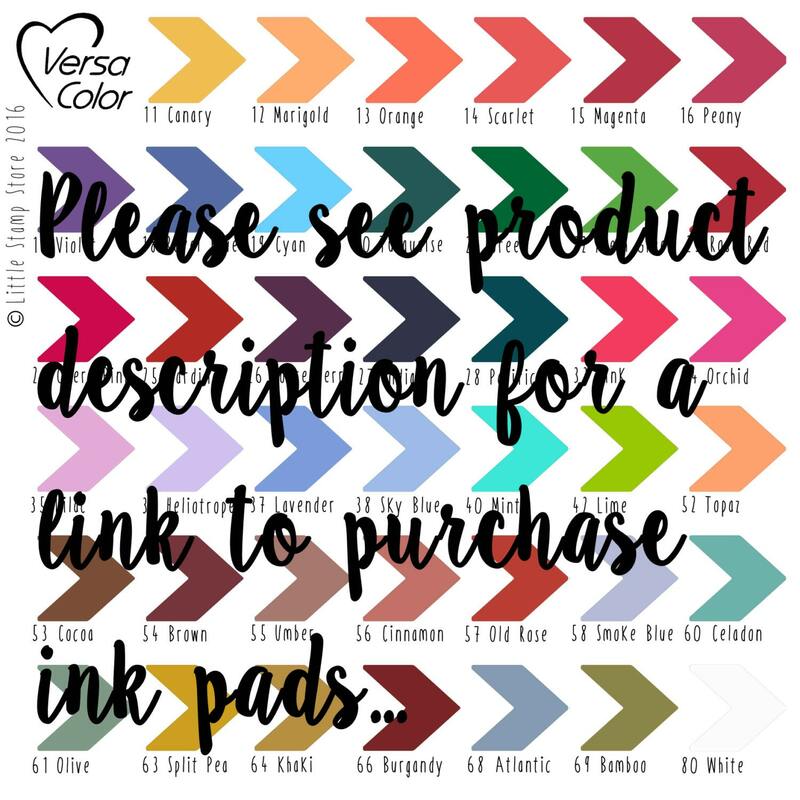 A Fashion Design stamp set with 14 interchangeable stamps, a great gift set. 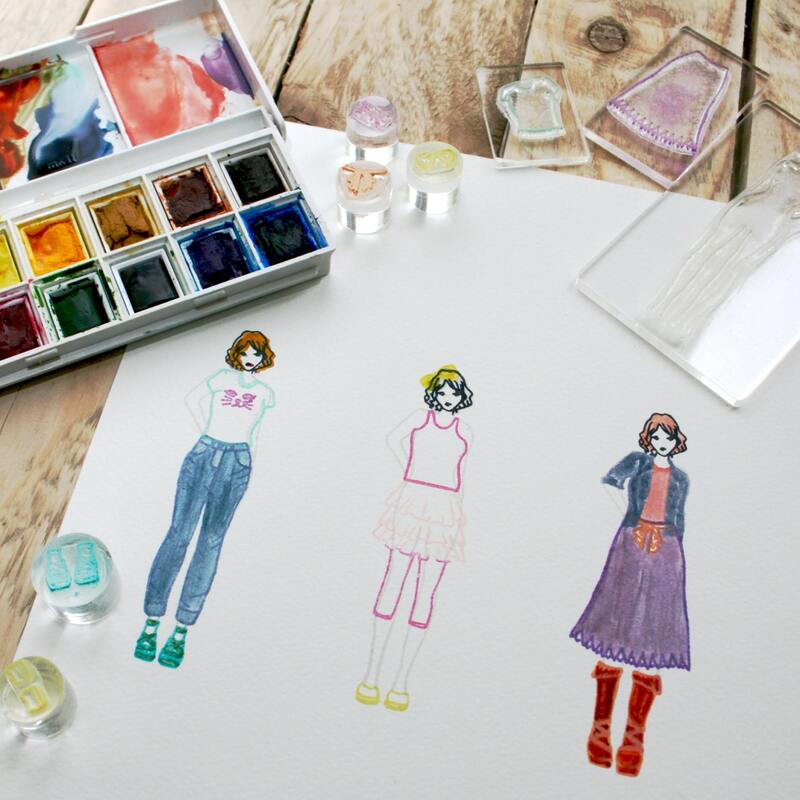 A fun creative gift for budding fashion designers, this set is very versatile. This fashion design set has been designed with older children and teenagers in mind. You can have fun creating lots of different outfits and variations of the look, depending on what colour combination you choose. Don't forget you can add your own embellishments, for example, spots, stripes, glitter, buttons. The set includes the girl stamp (on a mount), a self-stick set consisting t-shirt, vest, jacket, jeans, trousers, skirt, bows, a cats face, shoes, boots and sandals all without mounts. 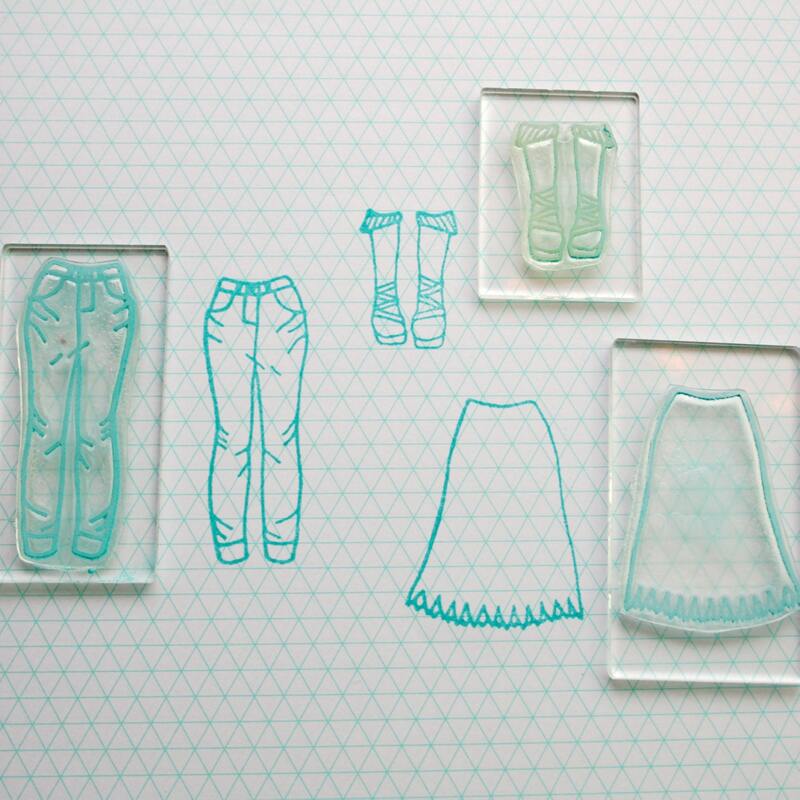 The fashion design stamps and mount are see-through, ensuring a perfect placement print every time. I make the stamps using resin and a negative process, I then hand cut from a clear soft plastic, and supply aClear block. Please note: The stamps are tested before dispatch to ensure they print correctly. The stamp will have been pre-inked but cleaned for your use. The girl measures 10cm tall x 2.5cm wide, all clothing and accessory items are made to fit onto the girls body and vary from 1cm up to 6cm. Super cute and beautifully packaged. A perfect gift for that crafty fashionista in your life.